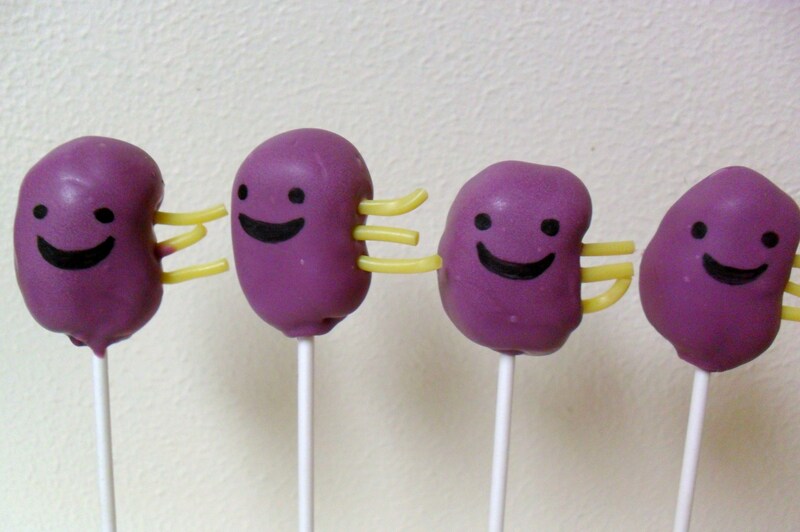 These cake pops were a special order for a special friend. One of my very good friends, M, is dating T. Five years ago, T had to undergo a kidney transplant. Since it was a milestone anniversary for T, M wanted to make it extra special for him. If you have read my blog before, you know that I get a lot of ideas/inspiration from the cake pop queen, Bakerella herself. 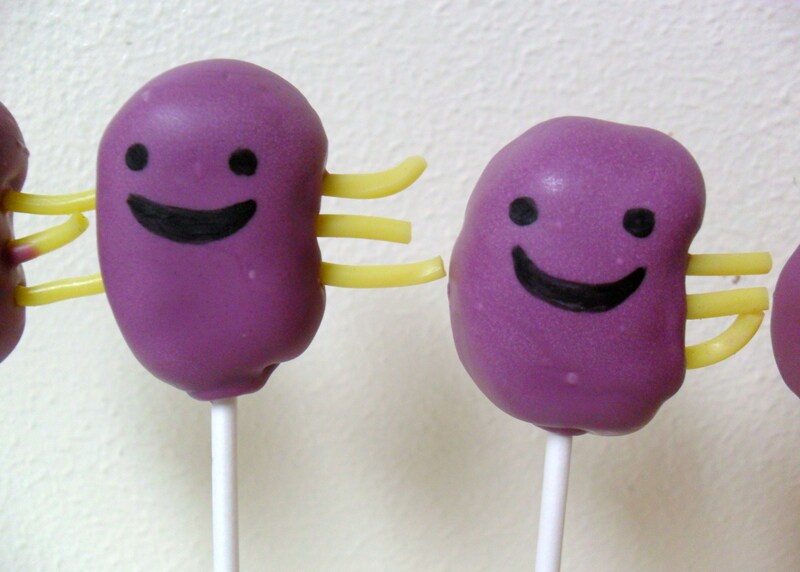 She also recently received a kidney transplant, so she came up with these darling kidney cake pops. M thought these would be great to celebrate T’s anniversary, so I gladly made them. Hopefully they added a little something extra to a very special day.